03 Apr 2019 --- The Döhler Group has acquired a majority stake in Spain’s Zumos Catalano Aragoneses S.A. (Zucasa). With immediate effect, Döhler will manage Zucasa’s juice production facility located in the Huesca region through its subsidiary Döhler Fraga S.L. Zumos Catalano Aragoneses S.A. is a producer of juices, purees and sweet fruit concentrates, vegetables and plants located in the region of Fraga (Huesca), with operations at the heart of Spain’s largest production area of sweet fruit between Huesca and Lleida. It has facilities spanning more than 24,000m2 over an area of 168,000m2, with capacity to store 32,000m3 of natural fruit juices, purees and concentrates. For Döhler, this transaction marks another step forward in one of Europe’s largest fruit production areas. “Customers will benefit from a more diverse offering in the stone fruits segment as well as in apples and pears; furthermore, the combined businesses will offer greater efficiency in a global market with regard to customized all-in-one solutions,” the company writes. Zucasa began production in 2010 with three lines for processing fruits and vegetables: two of which for purees and a third for juices. Currently, it employs an average of 50 workers on permanent contracts, reaching 150 workers during high season. The company’s production processes have been confirmed by the international certifications BRC, IFS, SGF, Kosher, FDA and others, which in turn have enabled it to expand internationally, with more than 60 percent of revenues coming from exports. 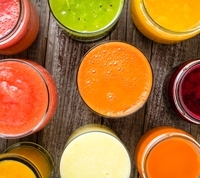 “Zucasa’s extensive expertise and ability to provide fruit and vegetable juices, purees and concentrates for food and beverages, combined with the broad product portfolio and the comprehensive industry knowledge of the Döhler Group, will create unique synergy effects,” the statement reads. In the coming years, Döhler Group aims to set a benchmark within the sector and develop a plan of expansion and sustainable growth within its business model. The move is the latest in several important acquisitions by Döhler. In October 2018, it reached agreement to acquire Concentra Europe BV (more commonly known in the industry under the “Passina” brand). The move means that the Döhler Group will be the owner of Passina’s Dutch and German subsidiaries, as Passina refocuses on its core passion fruit business. Days later, Döhler acquired a majority stake in Nutrafood S.r.l., marking a “milestone” toward achieving a leading position in the plant-based nutrition segment. Nutrafood’s portfolio complements Döhler’s range in the area of plant-based food and beverages, where the company currently provides solutions in categories ranging from smoothies to spoonables. Doehler (www.doehler.com) is a global producer, marketer and provider of technology-driven natural ingredients, ingredient systems and integrated solutions for the food and beverage industry. Doehler’s integrated approach and the broad product portfolio are the optimal basis for innovative and safe food & beverage applications. The product portfolio of natural ingredients ranges from natural flavours, natural colors, health ingredients, cereal ingredients, dairy & dairy-free ingredients, speciality ingredients, dry ingredients, fruit & vegetable ingredients to ingredient systems.